Our story begins in 2008 - where, after an inspirational dream, Sarah Castillo set out to create the perfect taqueria experience for a cult following of taco lovers, who would later be referred to as Taco Heads. Sarah's mother, Tinie, quickly fell in love with this lofty dream. Tinie then dove into their multi-generational family recipes and helped Sarah create a limited, but delectable taco menu. Taco Heads began its journey selling tacos out of a trailer in the West 7th area of Fort Worth. With the support of family, friends, and loyal customers the popularity of this late night taco stop grew. 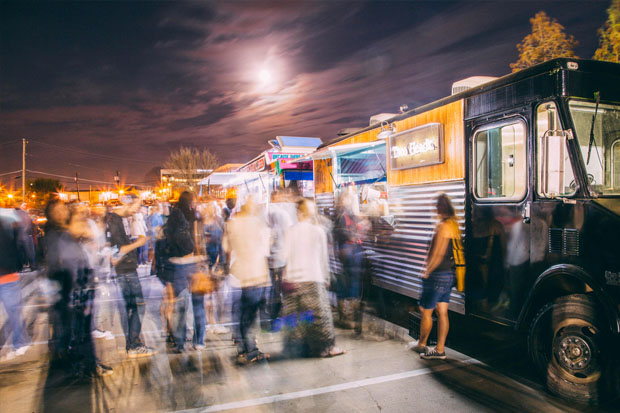 The trailer progressed into a Truck becoming one of Fort Worth’s first successful Food Trucks and developed a reputation for delicious late night Tacos. Sarah then met Jacob Watson through an Uber ride, and this destined meeting spawned a juggernaut partnership. With the complimenting strengths of Sarah and Jacob, Taco Heads opened its first brick and mortar location in 2016 in the Cultural District of Fort Worth. Since then the Taco Heads following has grown immensely and the restaurant has continued its promise of high quality food and furthering its mission to provide the best experience for our guests and our people.